I've been blown away by the response to my last post, so many people have joined up to the Pen Pal Exchange. There are 30+ participants so far and you still have plenty of time to join up. I've got another work outfit post for you today. It's not a very smart look even though I'm a library assistant. The 'librarian chic' look is not very practical and a lot of our work involves heavy lifting and moving things around so pencil skirts and blouses just would not work for me. I took these pictures when I got home from work last night at about 11pm so this is what I look like after a day of shelving, issuing and and dealing with enquiries. My brother took the photos for me and he made me laugh so much because he had just showed me this video, and was clicking his fingers like the boy in the video. I love the bit where the lights are flashing. It's a bit creepy but very good. I recently won a giveaway on Sarah's blog and I was so excited when I received my pink parcel in the post. It was packaged beautifully and was filled to the brim with lots of Models Own goodies. How lovely is that? I'm going to keep the glittery box to put all my nail varnish in :) Thanks Sarah! Not too bad, I've got the nail art bug now and I'm planning on doing something new tonight but I don't have the models own nail art pens so I'm not sure what to do, possibly use the Barry M Nail Effects? 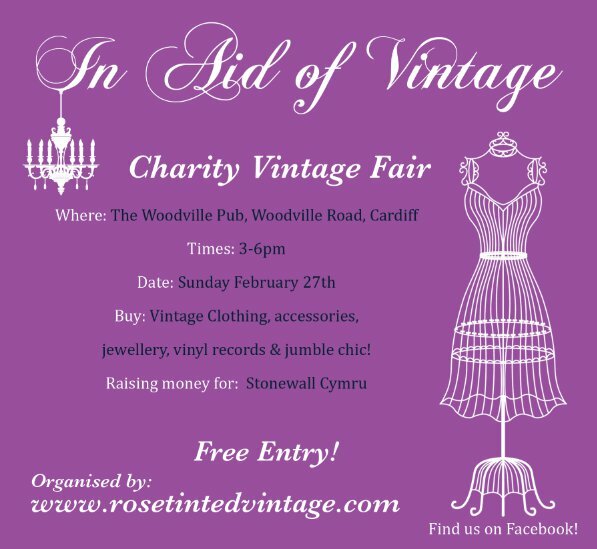 I attended the last In Aid of Vintage and got this great brooch and had a fab time so do pop along and maybe you will find a unique piece of vintage. Stall holders pay a fee for their table and this money is going to the charity Stonewall. You can feel a little less guilty about shopping if some of the money goes to charity! barry m nail effects ROCKS. well done on winning the giveaway! @Rosie- Thanks, can't wait to try the effects now. Love your nails that is an amazing 1st attempt. Ive used barry m nail effects and its fab. Loving that nail art - very impressive for a first attempt! So excited for the pen pal swap! @Sian- I used eyeliner for the leopard look and it did dry in seconds so I might use it to draw hearts or soemthing. I love that bag, I am obsessed with carpet/tapestry bags atm...Mary Poppins anyone? I love the nail art, it looks really pretty! I love your necklace, and your nails look amaaaaazing! eeeek! so jealous about the modelsown goodies! and love your patterned bag! I think you've nailed practical librarian chic! About Get Cutie - definitely give us a review of their dresses and service if you end up getting one for the wedding you're going to! love the nail colours! i currently have bright blue and pink leopard nails suprisingly not as tacky as it sounds! i love the nails, so pretty! The navy and black is so effortless and modern! You look great! I couldn't even tell you've been working so hard all day! In the meantime, not sure if you know about the little arcade on Wellfield Road, there's a shop called Big Girl's Blouse that sells vintage? Glad you won that fab giveaway! Want to win another.. I'm having one for my blog's 6 month anniversary :) Would love for you and your readers to check it out!! Another lovely outfit :) I adore the floral brooches. Well done on winning the giveaway :) I'm planning some for my blog this year because they always seemed like a really nice thing to do and give someone such a buzz to receive something for nothing.